Ard released his first single of 2017, entitled ‘Wonder Years’, a cross genre offering incorporating elements of Pop, Indie, and Dance, while still retaining Ard’s authentic and lyric delivery that he has become synonymous with. 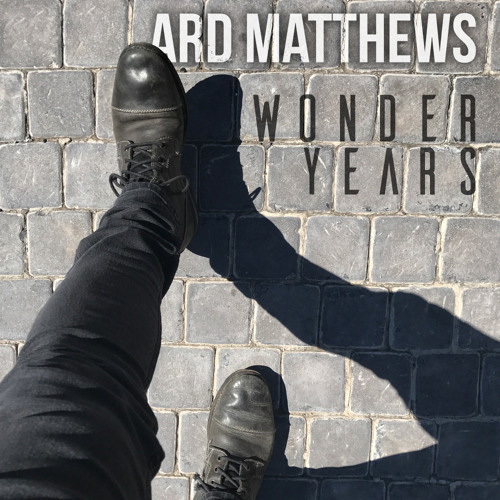 ‘Wonder Years’ was written at a friend’s holiday home just outside of Hermanus, and recorded over the space of a few months in Ard’s now hometown of Cape Town, South Africa. The track features the guitar licks of well known Blues Rock maestro and long time friend, Albert Frost, as well as the combined production talents of Peter Pearlson & Keith Farquharson from A.S.E. Cape Town. Ard plays his 1975 Fender Jazz Bass over the chorus’s to create that old style bounce. Listen to a part of the song on iTunes below, or click ‘View’ to purchase the album. You can also listen to the full track through Soundcloud below.